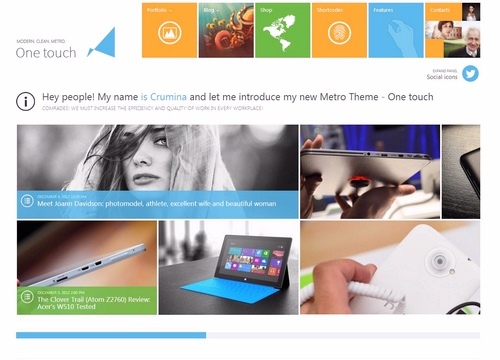 One Touch WordPress Theme is a highly customizable theme that can be used for many purposes. As a multifunctional metro stylish WordPress theme, this premium WordPress theme comes with lot of customization option and design settings to help you create a beautiful website with modern look and functionality. One Touch theme supports Touch devices and has Tile generator feature. Using it, you can add tile into the page, using simple editor. This theme is equiped with a Visual Composer that helps to create layouts and compose your pages in few minutes widthout any special knowledge in html or programming languages. 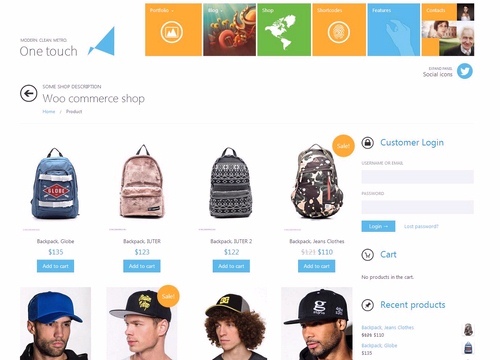 One touch theme includes WooCommerce plugin, that allows you create online shop in your site. Planning to buy One Touch theme from Theme Forest. Buy with Confidence. This page provides you with all possible Buying options. Usually Buying options or Pricing page of any theme designer is designed for conversions (to attract users and convince them to buy). Our Buying options page is not like that. We provide all the information about each Buying option. No hidden text or terms. We tried to cover everything that you should know before buying this theme.